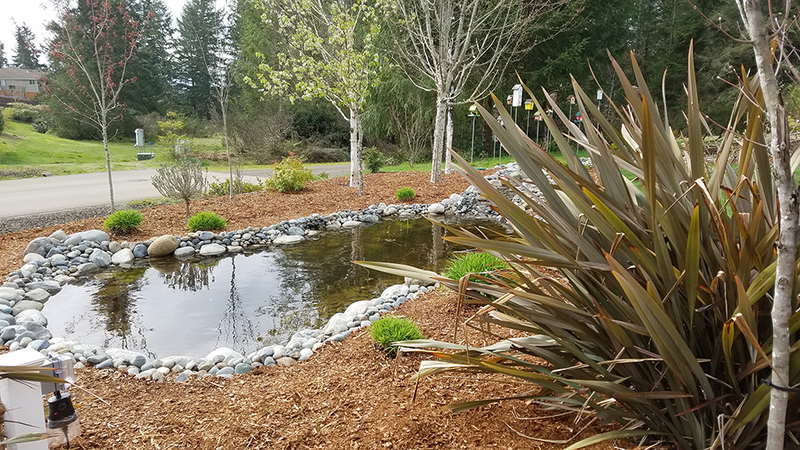 Your Source for Beautiful Yards, Spectacular Lawns and Stunning Landscaping in the Pacific Northwest. When you come home from a hard day’s work, your yard should be a place of relaxation and beauty, right? You want to kick off your shoes, put your feet up on the deck, and take in your surroundings, not think about everything you have to do in your yard. That’s where Levy’s Lawns and Landscaping comes in. A superior landscape and lawn care company, Levy’s Lawns & Landscaping, LLC provides year-round services, including patios and rock gardens, sod installation, sprinklers, excavation, pond and waterfall installations, and more. Levy’s Lawns & Landscaping, LLC design will keep your yard healthy with plenty of curb appeal. You’ll be able to turn over all the weekly lawn care chores to us and feel good about it. Let us design your next patio, rock garden, or water feature and make your yard a landscape wonder. Not only will you wind up with a landscape design your neighbors envy but you’ll get a little time back to go do other things you enjoy. We’ve got over 30 years experience in lawns and landscaping. We take care of all your landscaping and maintenance needs. With an emphasis on customer care at an affordable price, it’s no wonder we have a 4.8 rating out of 5 on Home Advisor.